Want to give to a worthy cause this Christmas? Donate to Speed The Light!!! Speed the Light provides equipment and vehicles to missionaries who are sent all over the world to share the Gospel of Jesus Christ. Here is a link that shares more about it if you would like to research more before donating —-> Speed The Light Info !!! As you all already know, I am a part of the Share A Sale Affiliate Programs. I am also an affiliate for Kathryn Shirey who emphasizes Prayer. Check out her Prayer Deep Store at the link at the very bottom. If you purchase a product through the links that are on my website, I will receive money and this is at no charge to you. It does help me to continue my website, and any other additional funds go towards my family and home. Your support is greatly appreciated. I will only put companies and products on my site that I support. Here is a list of all those that I am a part of. If I see any deals come through for them, they will be placed on this page. I will do my best to update them as often as possible. You hear me talk about my 5 year old little girl often. 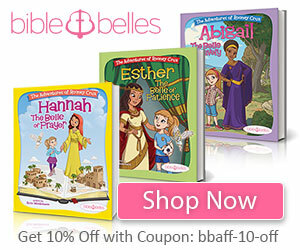 Well, these books and products are awesome for girls. It teaches them about the women of the bible on their level. 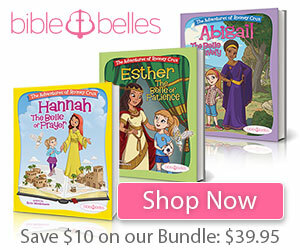 If you want to try before you buy, then download the Bible You version App as their our several Bible Belle Devotionals on their that I have done with my little girl and she loved it. I am always looking for resources for my children to help me to train them up in the way that they should go, and this is a perfect resource for our daughters that shows them who the true princesses and superheroes are. It also teaches them to know who they are in Christ!! !